Do Know What Your Customers Are Saying? Because I was startup, I just wanted to give my customers what they needed. But do you know that your reputation grows, to an extent to which you are discovered and talked about. Everyone and their mamas know about you…Do you? How Do You Handle Online Reputation? 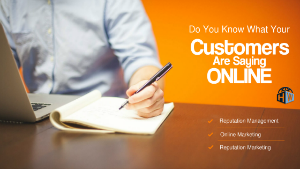 Do You Know What Your Customers Are Saying About YOU ? You are a business owner, and your business is online whether you have a website or not. It is there, and people are already talking about you. Why not take progressive actions for your reptutation online. Reputation Matters! The One thing I was foolish about…and you shouldn’t! Let’s say we put reputation management and online marketing into the same shoe. We then have reputation marketing. We do that to show off the reviews, and there is one simple reason for this. If we get reviews, and all business owners need it, and we get them. Why not create a video to boast about the the review. 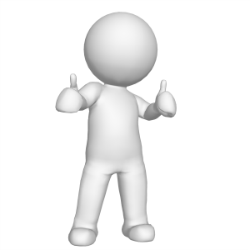 Now remember, I have had customers, which are business owners just like you, and I was dumb for not asking reviews, but they can help you, especially if you boast about those reviews, so that they can show up in the search engines with video marketing which show up and stand on their own two feet! When people search for your business for online reviews, they will see what you are doing, but remember to address the issues that people are commenting about you and your business especially if it is not good. You saw the video above, imagine if that video was about your business? Now imagine, a spokesperson in front of your business, sharing the good reviews for your business. Do you not think it will help you out with your company’s reputation marketing? If so, go here to find out about Reputation Marketing! Now let me share with you how to gain control of those online reviews. First thing you might want to do is google your business. You can type on the search, your business name, and your city. You may be listed and may not know it. You may have reviews, and you do not know it. So if you see your business, go to the page, and claim it, then follow the instructions provided by Google Business. You might be allowed to verify your business with a phone call, a text, but only in certain business’s, others through my experience need to get a code sent through mail that may arrive in your snail mail (the traditional way) so let everyone know to be on the look out for it, or whoever checks the mail. Once you get the verification code, go back to your google plus page and verify your business. Once you claim and verified your business, you can address the replies and reviews people are making for your business. And it doesn’t it end in Google, it happens on Yelp, Merchant Circle, Foursquare and the like. You as a business owner, need to pay attention to it, and comment and reply to good reviews, and bad reviews to show everyone you are about customer service. 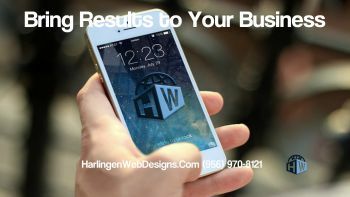 Well, you can have it, Harlingen Web Designs can help you with your Reputation Marketing. And we talked about that earlier. Step One – Create Those Accounts to Get Your Reputation Management Game ON! Find out where you are already listed, and claim your business. It’s that easy. I recommend create a template and have the same info across all sites. Click the link below for the page that explains more, this is an article, and I want you to understand the process. RGV Reputation Marketing – Done Easy! If you have questions or comments, I welcome them. Reputation Marketing in the RGV, for Harlingen, McAllen, and Brownsville and RGV business owners works, you just have to post about them. Anyone can destroy your business, handle it. Or let us handle it for you! Reputation Marketing hasn’t quite taken off in my part of the world yet. It’s something I have discussed with my clients and for the most part… They are not interested! I still offer Google My Business Services, but this is purely for the benefit of securing the businesses location on Google Maps and to get Local SEO benefits. Yes, I understand how some business owners do not feel they need it. Most don’t even know that their business is already listed somewhere, and customers are already leaving reviews. Whether they are good or bad, they are there. I like your use of the phrase reputation management + online marketing = reputation marketing. That really provides an excellent description of the outcome! Yes, it does. We are just marketing their good reviews with video, set the keywords for that video to be found when they search their compaines reviews, so that they can see what others are saying about their business. That is correct. If they hire other people to do that, that’s when it’s wrong. But I figure companies like that will have their bad reviews as well, and they will be seen as well. I have seen other companies offer such services to push the bad reviews done. Here, what I do is get a video review so it can show up and highlight the great reviews. Hi Carlos, my dear friend! Thank you for your comment, As we talked earlier, I will show you more, I like the way you take action, and will show you more…give me a day or two, and I will open the doors for you so that you can prosper even more so…. Wow! Carlos, your article is dynamite! It’s hard to imagine that our business is out there and people are talking about us! Scary, too – especially for us just starting out. Times like this I wonder …. what have I got myself into?! Looks like you already have a reputation – of extending a helping hand wherever needed! I just discovered your blog and will visit often to discover even more! Yes, I was dumb at first because I never asked for reviews, I just started asking for them. Now I figure I can leverage those reviews in the search engines and create videos for them. And it’s what now I offer local business owners, so that they can leverage their reviews without all the extra costs and time, because, they have a business to run, correct! Hey Carlos, great video and thanks for sharing such valuable info! ORM is a hot topic and much needed service as the Internet and our businesses continue to grow. I really like your idea about asking for reviews because Google is big on that also and it will help your online rankings. I will be getting with you a little later to help me with my online reputation…Thanks! Thank you for your comment. It is true, why not market your reputation when it’s good, and address the ones that are not so good. Great video Carlos! RM is definitely an important topic for any business. With the speed of the internet and social media, even one bad comment could damage your reputation and business. Unfortunately a lot of businesses do not take it seriously and are not even aware of comments (good or bad) that could be posted in various review sites or social media. You are correct. Many business owners do not take advantage of their online real estate already out there that others have provided them for free, and people can just comment on, and they do not know about it. What the business owner does not know, may hurt them. And the thing is, it’s so easy to create all these accoutns and claim them. They are already out there. Yeah I get it Carlo’s, but the challenge is convincing business owners how much their online reputation can effect their customer base. Your more than likely to get a lot of those owners who think that they have enough business and a little negative feedback is a good way to create interest (scandal’s just like in the media). Either that or they simply turn the other cheek, because they don’t want to hear someone giving their business back feedback. In my experience, I have found that the business who are more interested in this type of service are looking to prevent bad feedback before it happens, especially when you show them bad feedback other similar business in their niche have received. Great post. That is a good way of seeing things. I do not push reputation marketing, in fact, I don’t email them or tell them about it. I don’t cold call, I only use organic traffic. But you made an interesting point. And I want to cover something about that, because even if the customer does not recognize the importance, they should know that they are losing customers because of it. Elaine Harris, made an interesting report about customer service and the cost of losing a customer. Loss of Jobs. Harris describes an advertising agency that lost one client because of lack of courtesy and follow through by the agency. Losing that client foreced the owner of the business to close the office, putting 50 people out of work. Loss or Reputation. There is Joe Girard’s Law of 250. Does a company really want to send a person away unhappy? One unhappy customer can keep many people away from their business. Then there is Loss of Future Business. Once the customer is gone, so it the hope of any future purchases by that customer. Sue stated, self-control and to stay polite, even when a customer is getting angry. Do you best to find a solution that will send him or her away satisfied, and diffuse any lingering ill will. Online reputation is important and it is always good to make sure we are always friendly and helpful which will encourage positive comments about us online. You are so right! We must be friendly and helpful. Not only do we encourage positive comments, but we also get the value of a recurring customer, plus, they talk to friends and family about your business as well. Thanks for stopping by and providing your input Shaneman.